Harlingen High School South’s One-Act Play, “Side Man” by Warren Leight has won the State Championship. The team arrived to great fanfare on Monday, April 30 as students, teachers, staff, administrators, and Harlingen CISD board members gathered at the South campus to celebrate in the team’s accomplishment. 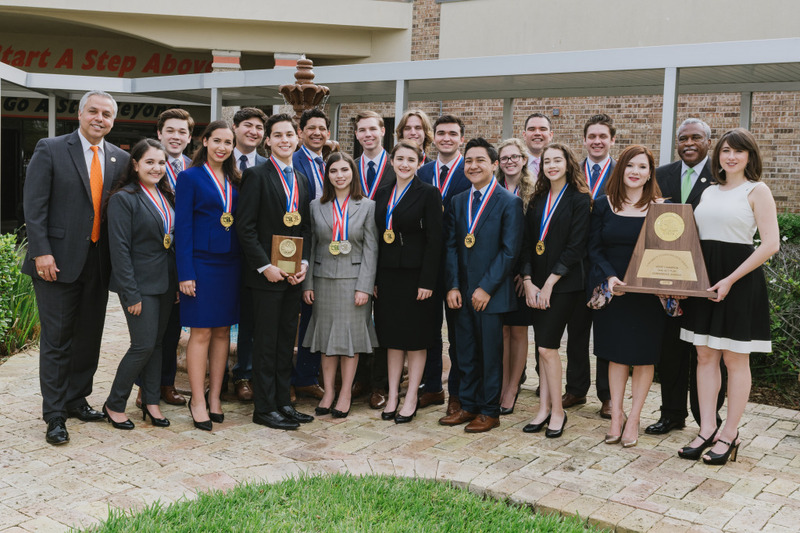 Under the direction of Maegan Conley and Julia Wise, the Harlingen South Speech Drama and Debate became the first ever to capture a team state championship for their school. They are also the first in the Rio Grande Valley to win a state championship since 1935. Cast member, James Gracia also earned the Best Actor Award and Samuel French Award, the highest honor a student can receive at the event. Savannah Smith, who played Terry was named All-Star Cast. Harlingen South was one of eight schools competing in the UIL 6A Conference held at Round Rock, Texas on Wednesday, April 25. At about 1:30 am the next day, the results of the contest were unveiled to a packed auditorium. To achieve this level of accomplishment is not only a huge honor for the group but has “brought things full circle” for the team’s directors. One-Act Play is the only competition of its type in the nation. It offers a unique challenge as teams must condense longer plays to fit the 40-minute limit all while ensuring the story is coherent and character arcs are achieved. This is the 92nd year UIL has hosted a One-Act Play State Meet. Click here to view photos of the State Champions’ return.